Below are the policies and procedures for common needs and situations. If you have any questions or concerns, please contact the office at (336)645-9555 during office hours and we will be happy to assist you. If you are in need of a refill, please have your pharmacy fax a refill request to 336.272.1973 and your request will be processed within 24 hours. Our office does not "e-scribe", all refills must be received by standard fax and will be sent back to the pharmacy in the same way. If you are taking a stimulant medication for treatment of ADD/ADHD and need a refill, please call the office. As long as the prescription is due and you have been seen for an appointment within the past 6 months, the paper Rx will be available to pick up the following business day. If an appointment has to be cancelled or rescheduled, 24 hours notice is required or a $60 fee will be assessed. Please contact the office as soon as possible if you know you will be unable to keep a scheduled appointment. In the event of delay or closure due to inclement weather, we do our best to contact each patient that may be affected. Closures and delays are also reported on WXII. 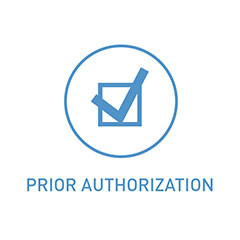 Occasionally your insurance company will require a 'prior authorization' before they will cover a certain medication. If a prior authorization is required, have your pharmacy fax the office and we will initiate the process. It takes an average of 24-72 hours for your insurance company to make a coverage determination.